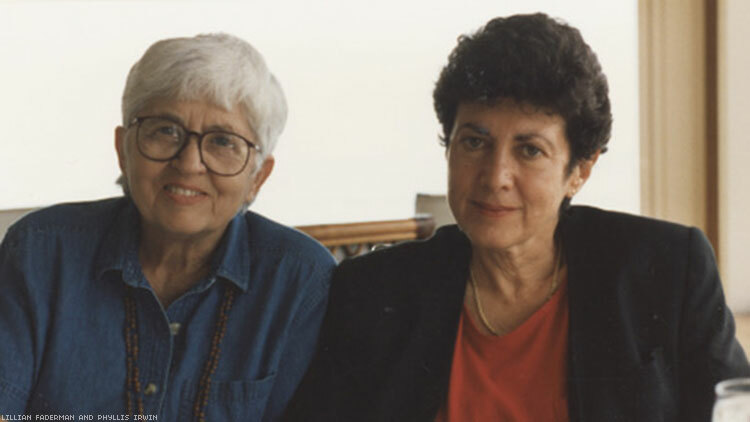 The 47-year romance between lesbian historian Lillian Faderman and Phyllis Irwin is beautifully told in Allison Tate's short film. Celebrate Valentine’s Day with a story of everlasting love between women told across generations. 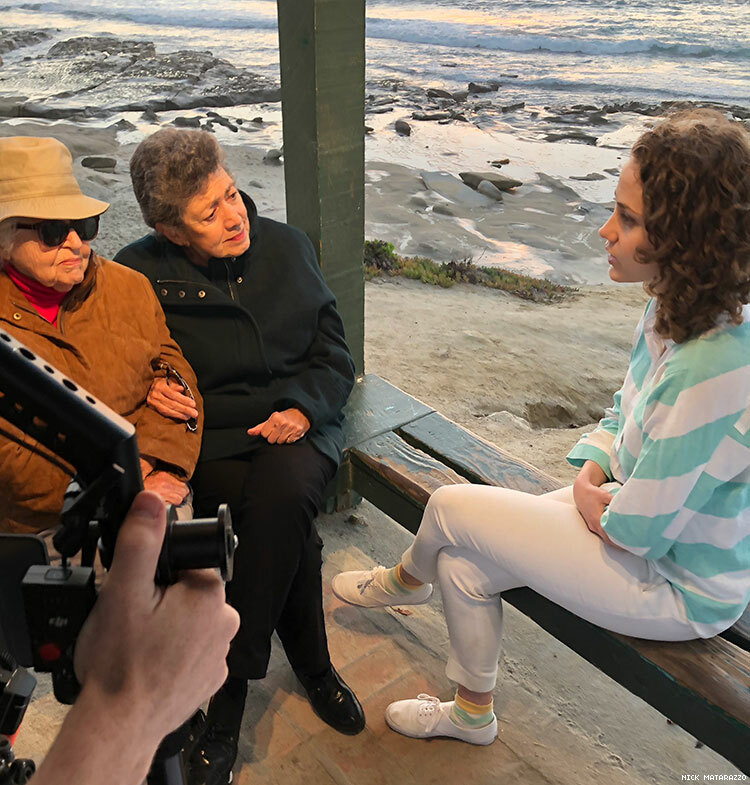 In her short film, Legacy of Love, Advocate video director and filmmaker Allison Tate (Carol Support Group) investigates the universal, timeless experience of love with her profile of lesbian historian Lillian Faderman and her partner of 47 years, activist and professor Phyllis Irwin. The eight-minute film, part of the Facebook Watch docu-series 365 Days of Love, produced by Sofia Vergara’s production company RAZE and NewForm, tells the story of Faderman and Irwin’s monumental relationship that began when they met and fell in love when they were professors at California State University in Fresno in the early 1970s. With thoughtful, probing questions, Tate delves into the challenges Faderman and Irwin faced as a lesbian couple trying to raise a son during deeply intolerant times while also highlighting the excitement of falling in love. “Do you believe in love at first sight?” Tate asks of the couple at one point. Watch Legacy of Love below.